"Happy Passover, and thank you for visiting!If you wish to surprise all your friends and family this Seder, this recipe is for you. But first of all, you might ask yourself what is the big spiel here, or as I put it - what the fish?" Happy Passover, and thank you for visiting! If you wish to surprise all your friends and family this Seder, this recipe is for you. But first of all, you might ask yourself what is the big spiel here, or as I put it – what the fish? 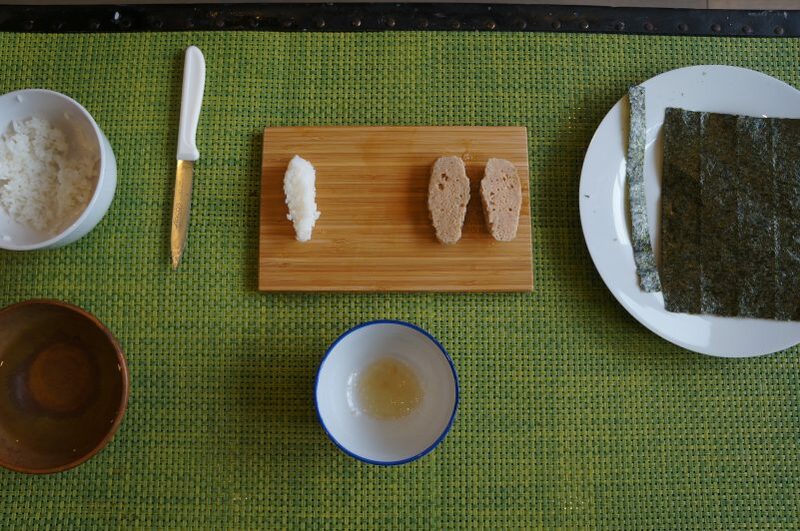 Gefilte fish is a traditional Ashkenazi Jewish dish – traditionally served on a Sabbath and holidays such as Passover. It is a patty made from a mixture of ground deboned fish, such as carp, commonly served with a slice of carroty on top, inside a pool of jelly made from the same fish stock – and just like revenge, Gefilte Fish is best served cold. Made from an affordable fish, and into patties, the gefilte allowed poor and large Jewish house holds to serve each member of the family a portion of fish on a Friday dinner. The ground fish patty is boneless, eliminating the need to pick out fish bones at the table, which is a “No no” on the day of Sabbath. 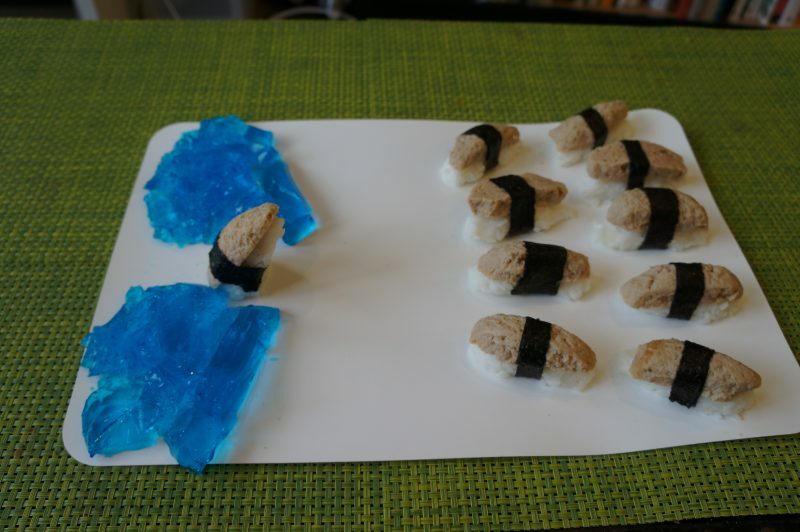 Read more about Gefilte Fish! If you are like me, you might have developed a love-hate relationship with this peculiar dish. It’s hard to explain, but something calls for a reinvention of the traditional with.. Yet another tradition! 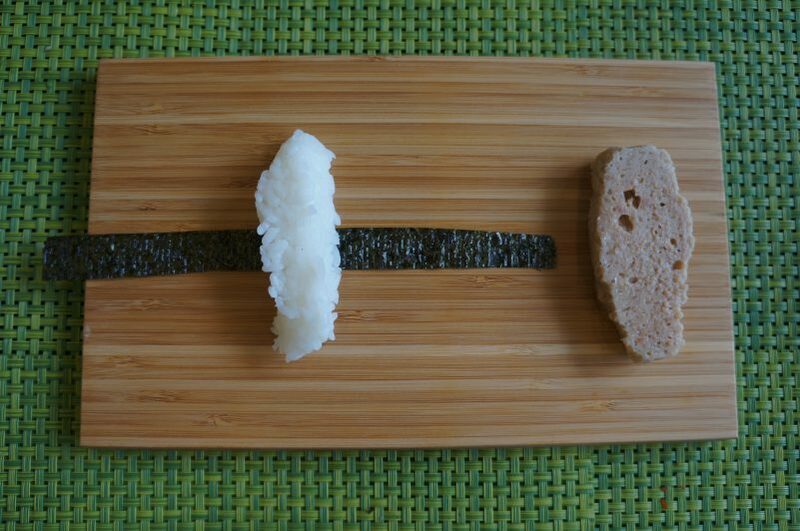 Cut a strip of nori for each Gefilte Sushi you will be making. 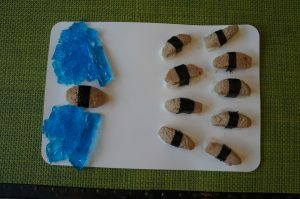 The strip should be about one inch (or 2-3 cm) wide, and as long as the nori sheet is. Then cut the Gefilte patty into 2-3 slice depending on the patty size. 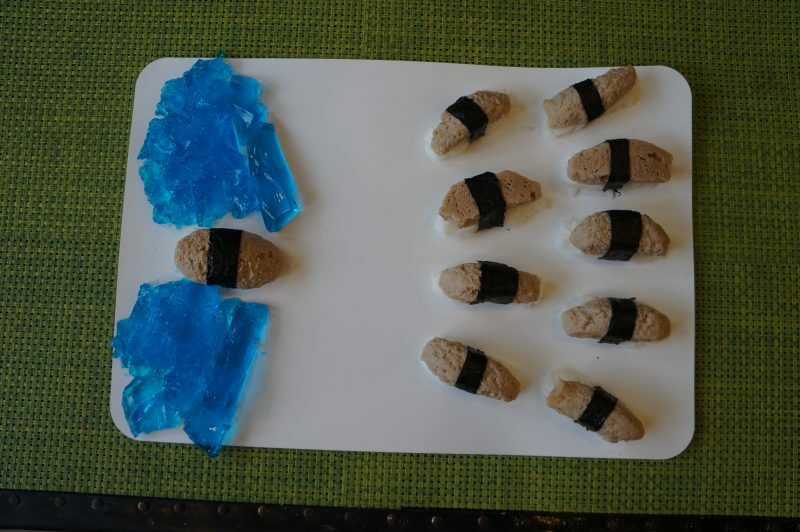 Take a handful of rice, and shape it into a “finger shape”. Make sure to keep your hands wet before handling the rice, so it doesn’t stick to your hands as much. The end result should be even shaped, and firm enough to hold the slice of fish. Now just join the to together. 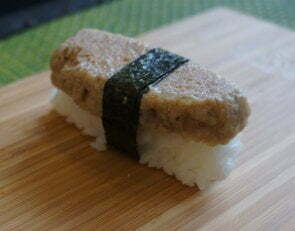 Place the slice of gefilte fish on top of the rice, and gently tighten the nori around it. This needs to be done quickly since the nori holds best when it is dry to begin with and absorbs some moisture from the other ingredients. 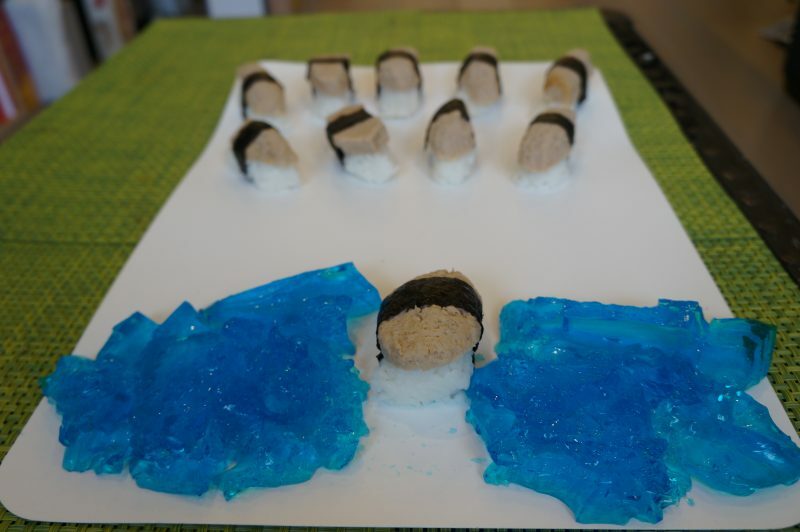 It can sometimes help to use a bit of water to close the nori around the rice if too dry and does not hold in place. Best served with red horseradish. 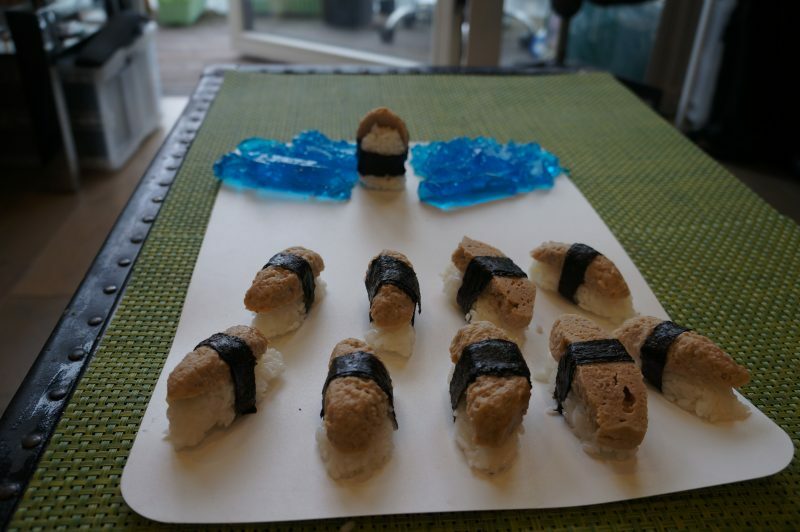 Could hold myself from making a huge set in my living room of all the sushi I made as the Israelite’s led by Moses into the parting sea. Could be a great way to learn about the story of the Exodus, don’t you think? Wow! I wish I read this before the Passover for this year. I missed out. Good to know this though. 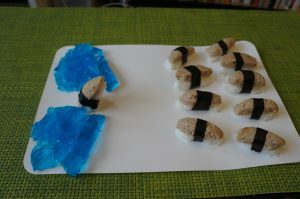 I’m going to try it out and sure next year Passover I’m going to make it perfectly. Thanks! 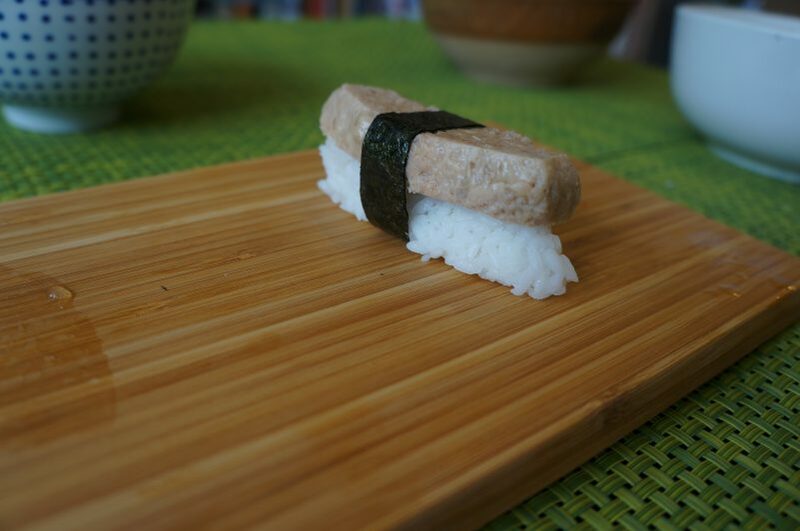 Wouldn’t wasabi work well in place of red horseradish?